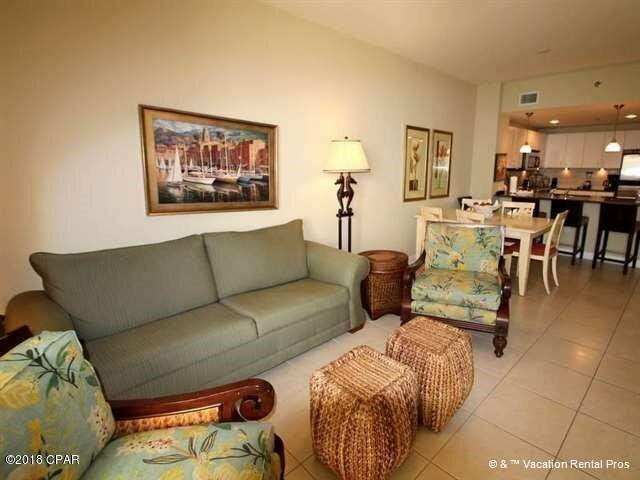 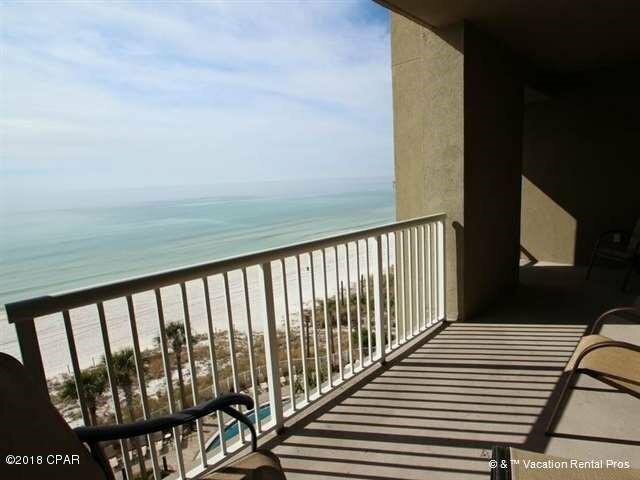 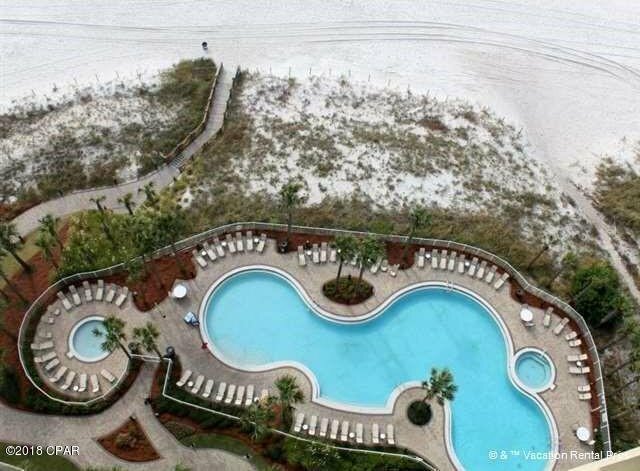 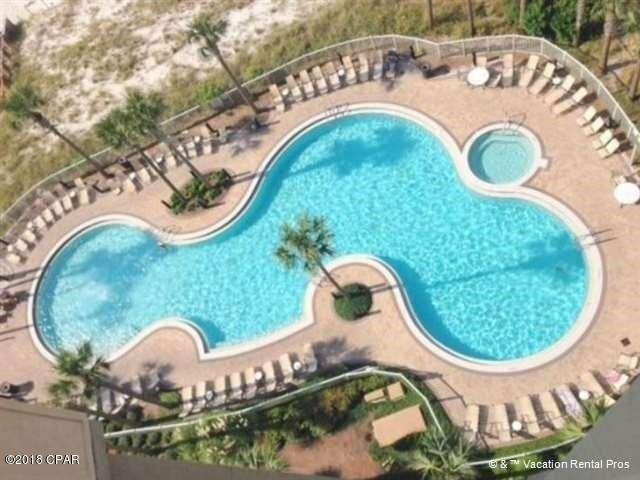 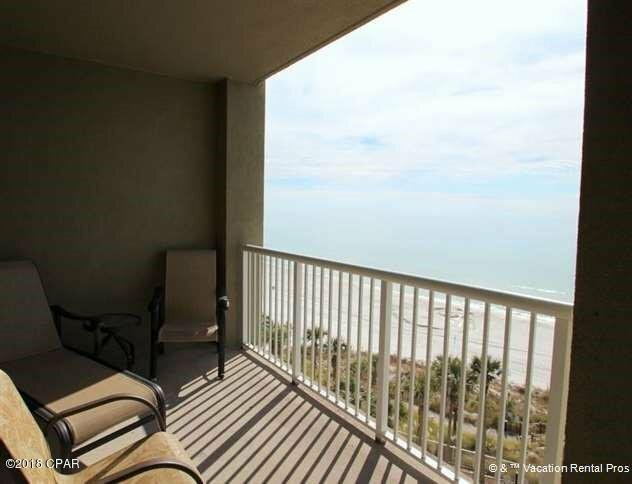 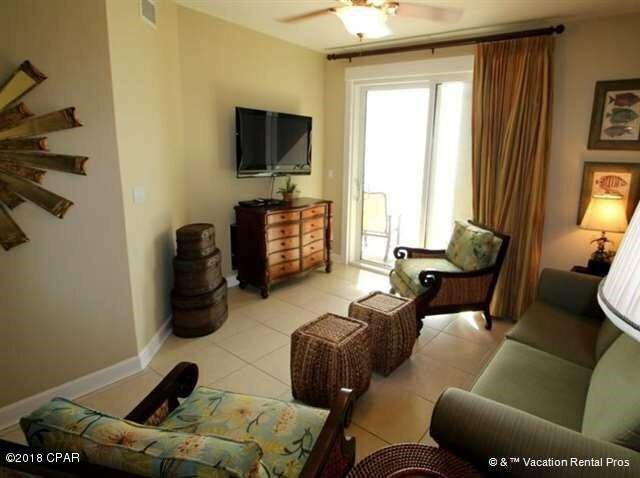 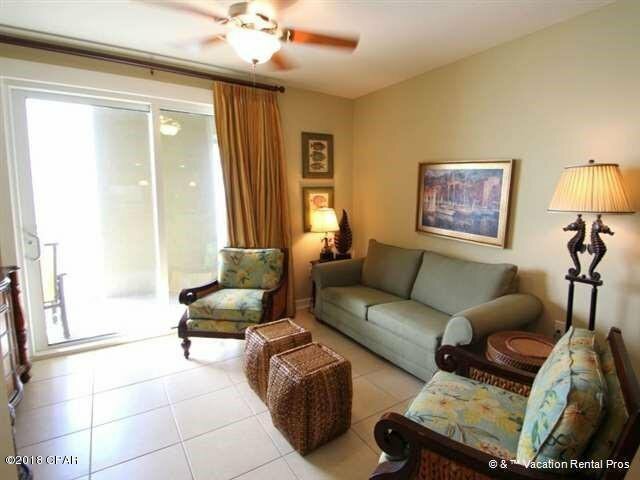 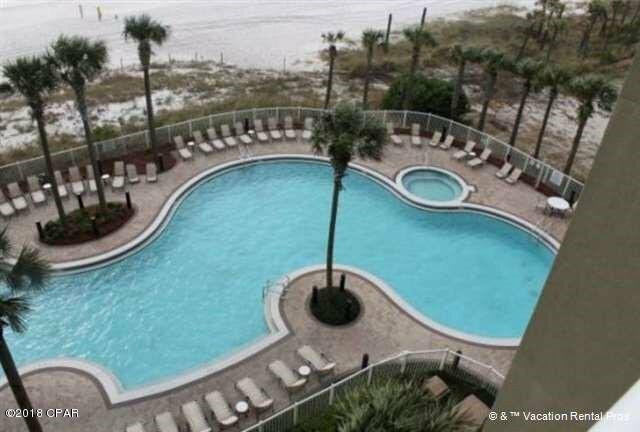 Luxurious Gulf front living at one of the best resorts on the Beach on the 9th floor ~ Grand Panama. 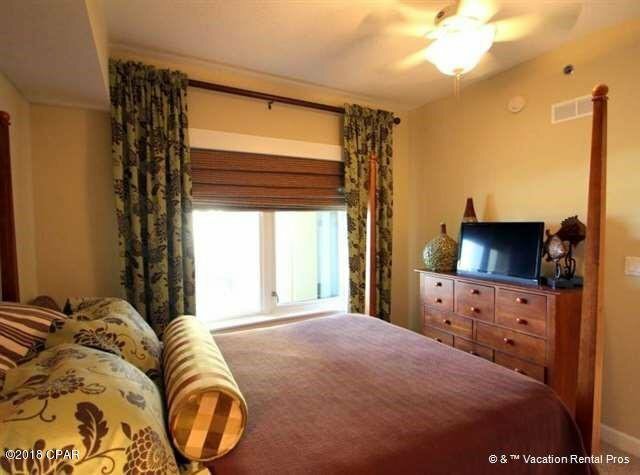 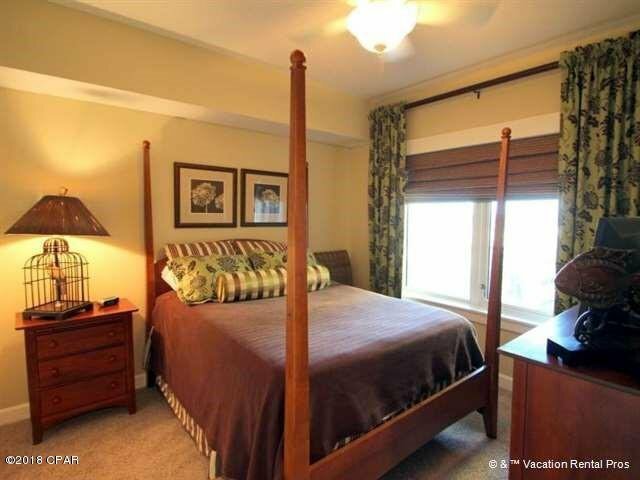 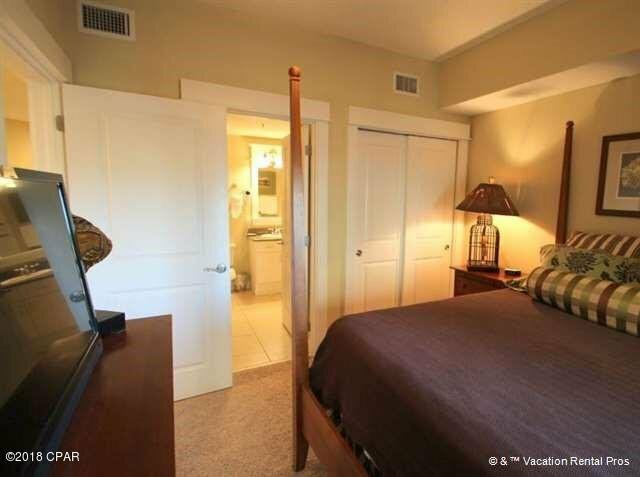 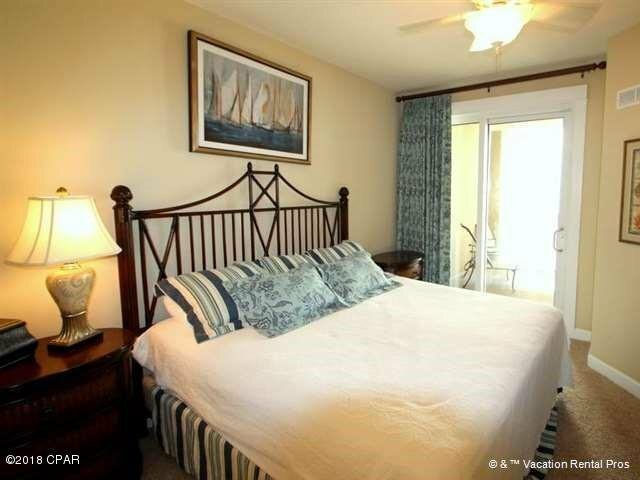 The Gulf front Master Suite opens to the large balcony, also accessed by the living room with panoramic Gulf views. 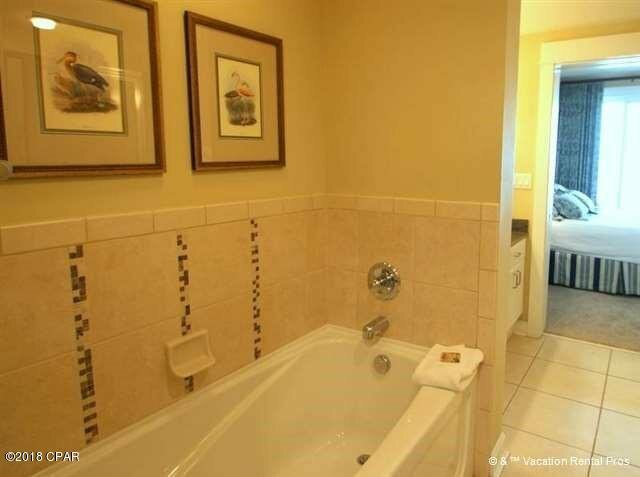 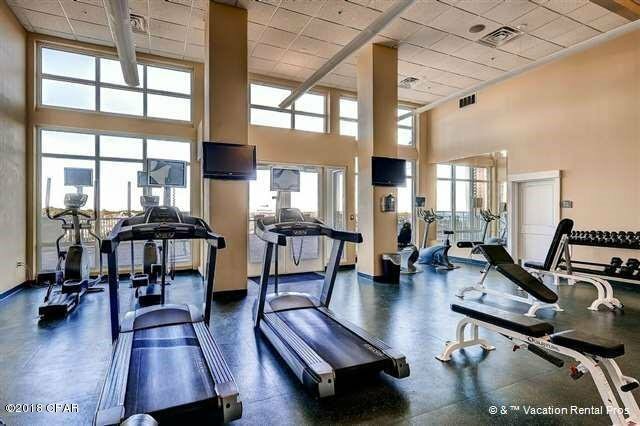 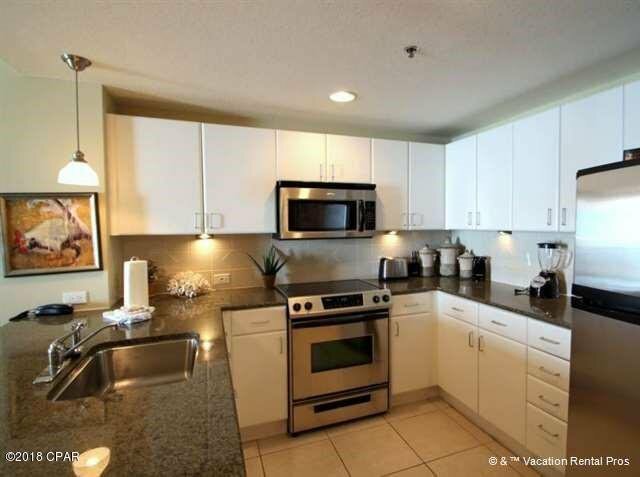 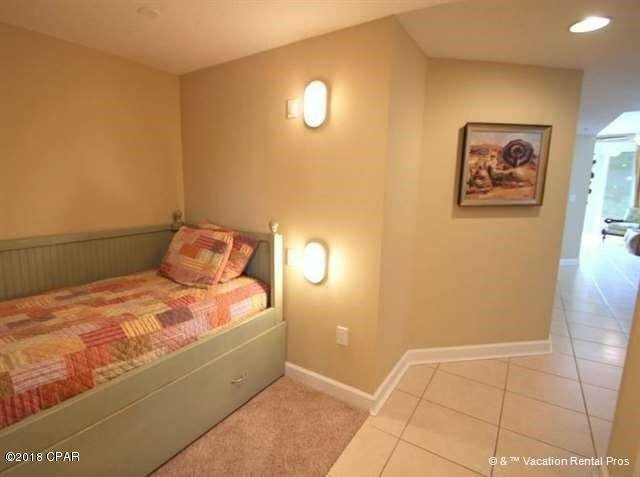 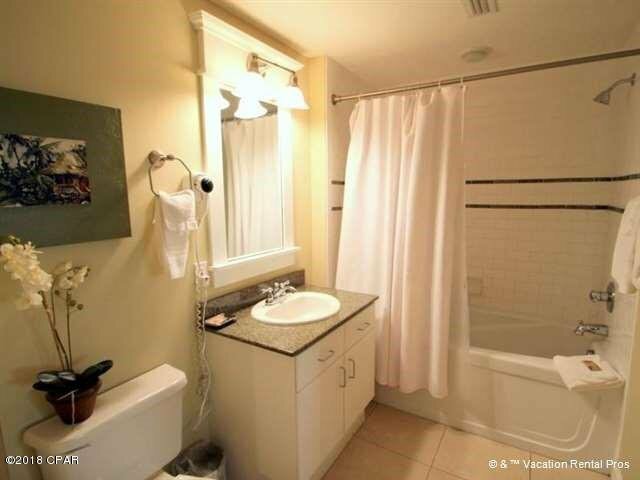 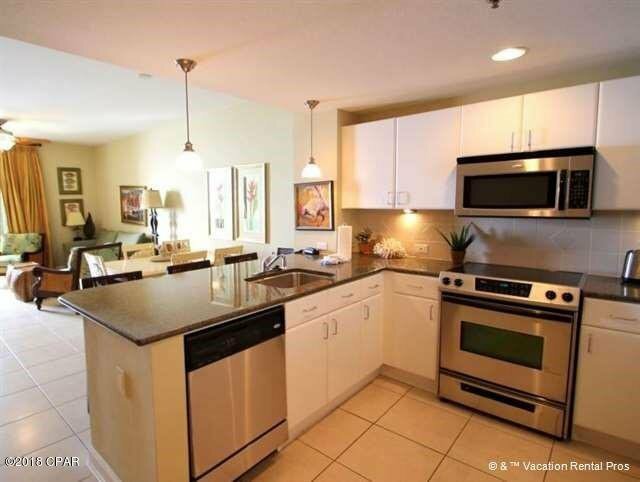 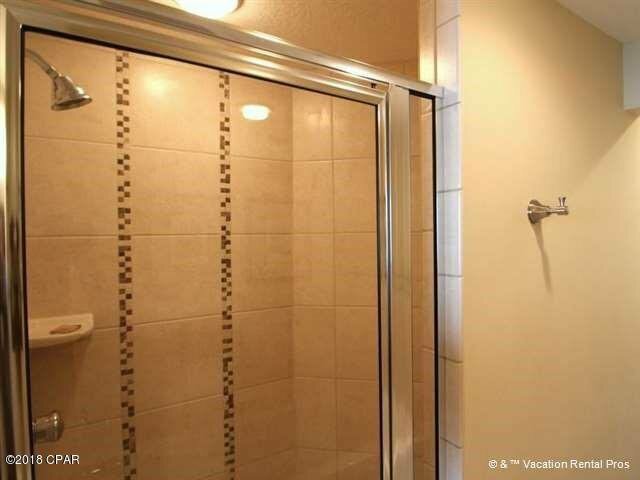 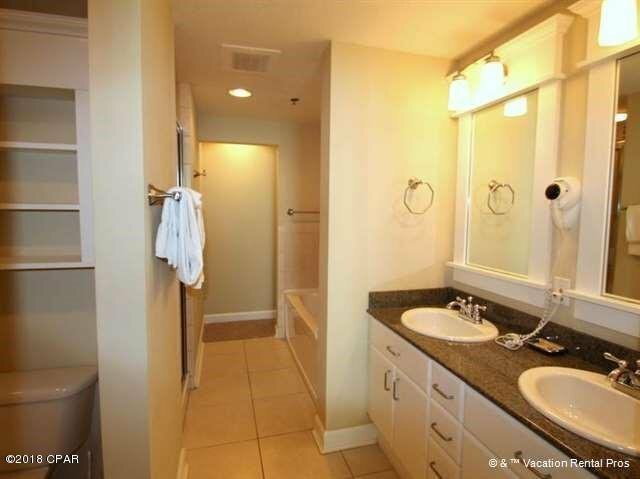 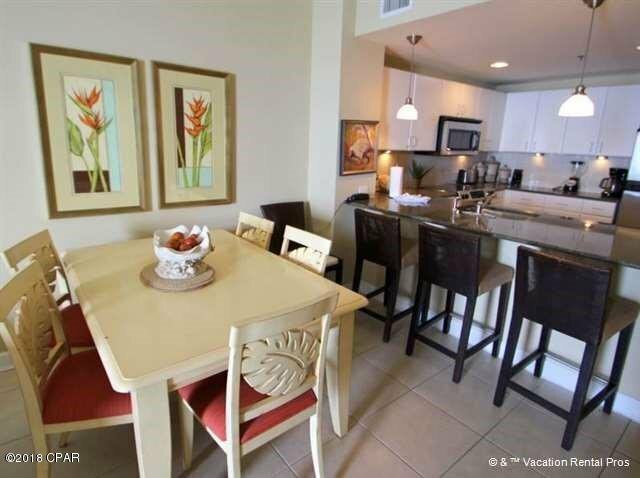 Many upgrades and decorator-perfect finishes including tile floors throughout unit except the bedrooms, granite counters, tile kitchen back splash, stainless steel appliances and beautiful furnishings. 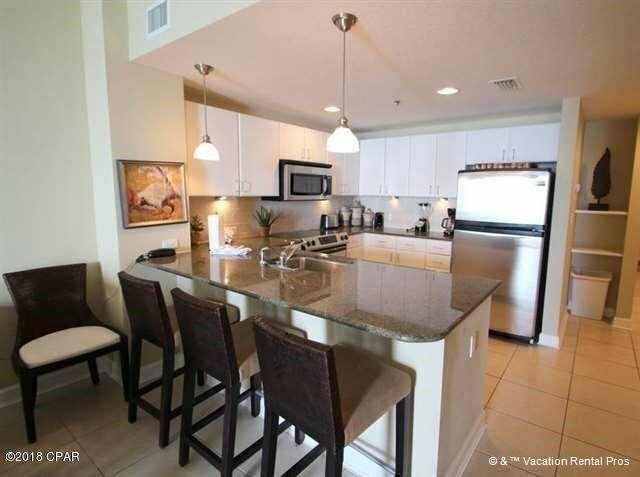 Listing courtesy of Top Producers Real Estate Ctr. 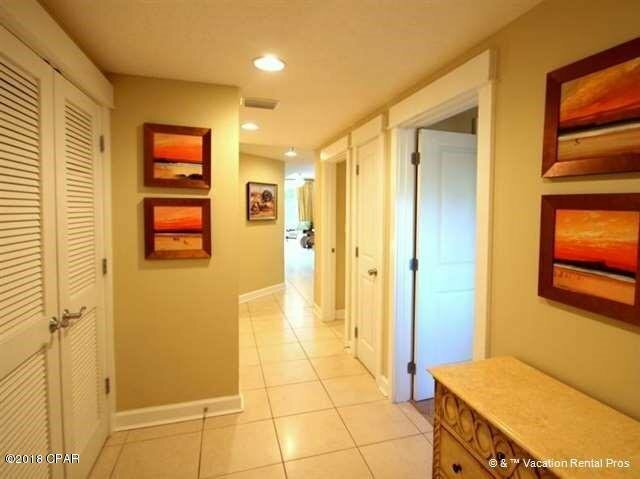 Selling Office: RC Real Estate Group.